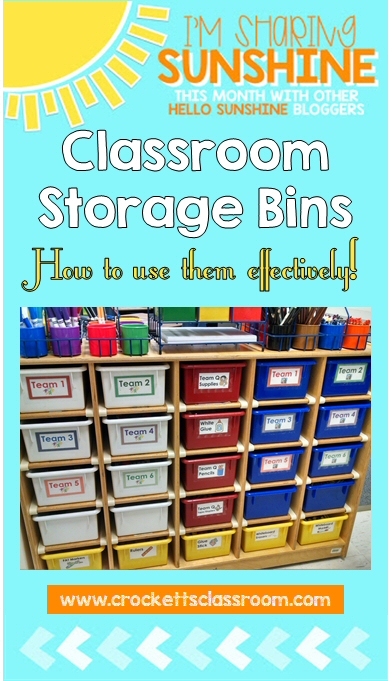 This is one of the best ways I've seen to use these storage bins. I know many classrooms use them for individual students. They may be used as individual mail boxes or like a portable desk with scissors, crayons, glue, etc. stored in the bin. 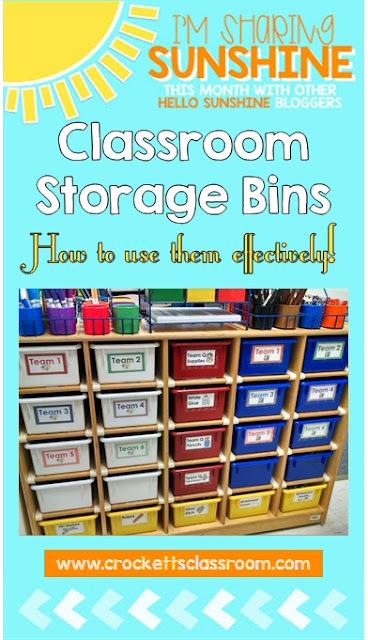 In the second grade classroom of Mrs. Q the bins are not used for individual students. 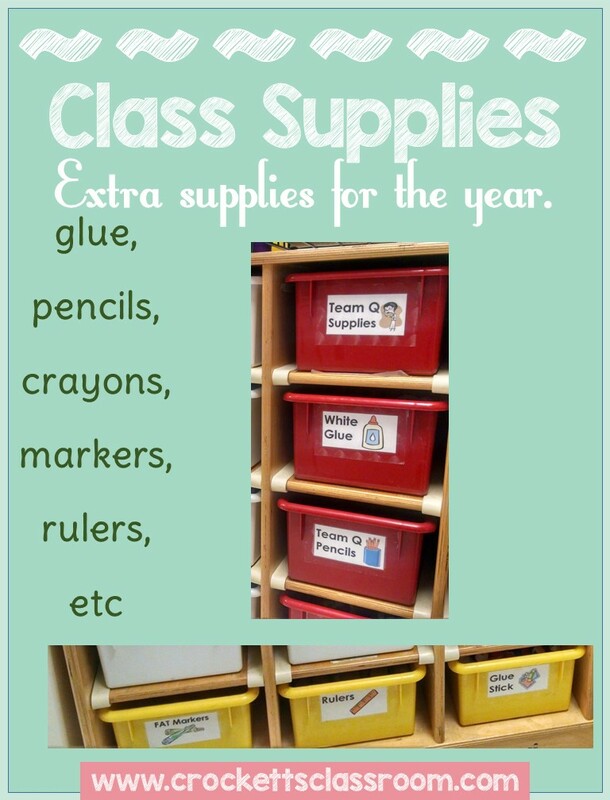 She has them set up for team materials (white bins), class supplies (red and yellow bins) and lesson materials (blue bins). Each team had a white bin in which materials used every day are kept. They have access to this bin all day. It is often brought to the team table so everyone can share the supplies. At the end of the activity or the day, the materials are put away neatly and returned to the storage shelf. Did you notice the scissors? They're kept in a little dollar store sliding box. Love it! Now they aren't scattered throughout the bin. I also love having the scissors kept in the bin, not student desks. No more tiny cut up pieces of paper ready to fall on the floor or students going home missing a lock of hair! The lesson bins are my favorite! This is where you can work smarter, not harder. Let's say you'll be teaching a lesson about place value this afternoon. 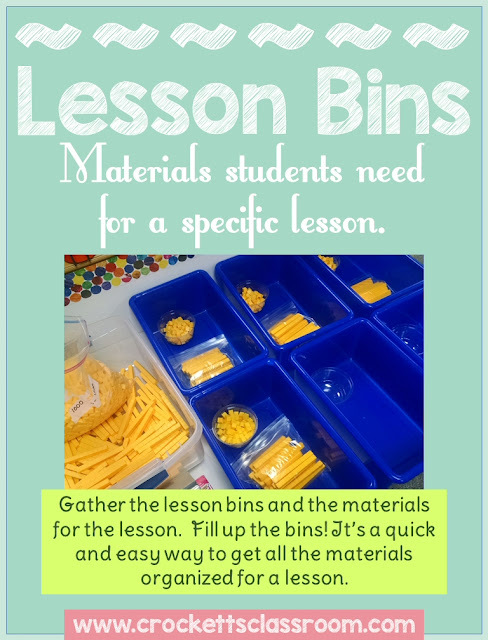 That morning you take out all the lesson bins and place them on a table or counter. Next get you place value blocks. In just a few minutes you can put the blocks each group will need for the lesson into the blue bins. You're all prepped for the lesson! When the lesson begins you can ask the team leader to go get their blue bin. Quick and easy! The rest of the bins are used to store supplies needed for the rest of the year. This is where she keeps all those pencils and glue sticks that come in at the beginning of the year and keep your fingers crossed that they last through the year? 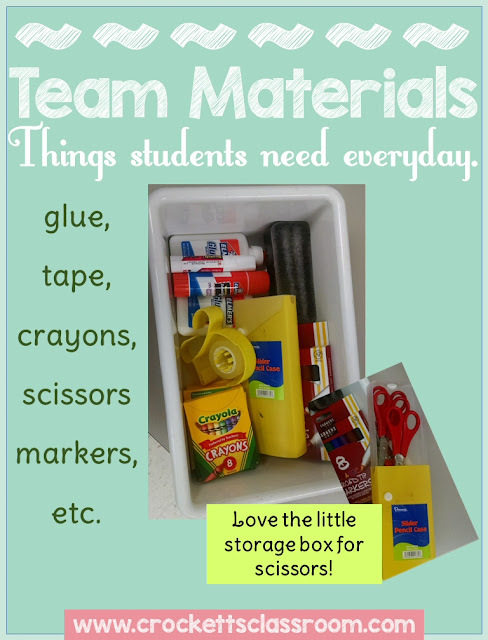 You can also keep the materials that are not used very often, like rulers, glue bottles, protractors, compasses, etc. 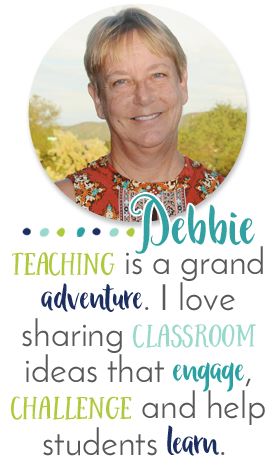 Do you have a classroom idea you'd like to share? 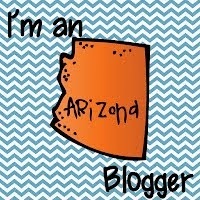 Link up with us on Hello Sunshine!